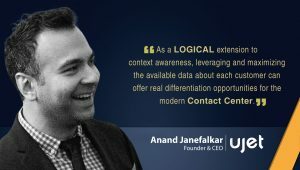 Continuing our tradition of bringing cutting-edge Predictions for New Year, we have Anand Janefalkar, Founder and CEO of UJET, speaking to us about the role of technology in the Customer Service and CX industry. What good is a Marketing campaign if it can’t draw your customers’ attention and make them stay a little longer! Every marketing campaign needs to work like a magnet – attracting customers with powerful storytelling based on truth and expertise. How do you measure the power of marketing? In 2018, Customer Experience (CX) has become a mega-deal for Marketing teams looking to create and deliver that ‘magnetizing effect’ that I just mentioned above. The role of CX can’t be overlooked anymore. If customers like you, they have a tendency to also believe you. It’s like a friendship built on customer service. Quicker you respond to the customer, greater loyalty you get in return. And, it’s left to Marketing teams to formulate a buyer’s journey based on phenomenal storytelling, and CX. So, UJET’s customer success stories for omnichannel CX lists tangible steps that marketing teams can follow to handle customer expectations and serve them based on the time-tested formula of actions-feedback-fulfillment. 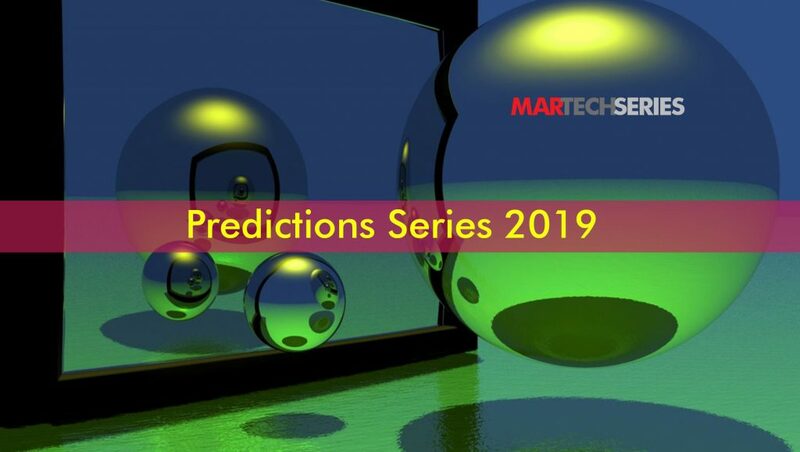 In this Predictions Series 2019, we dive into the technology-side of Customer Service, discussing how different technologies (Cloud, IoT, AI, Marketing Automation, Business Intelligence and Analytics) can all come together to empower CX-focused Marketing. Companies are beginning to notice that you can create a cult-like following if you take care of your customers and don’t treat customer support as a checkbox or a cost center. It’s long overdue that companies view customer support as an integral part of the product, brand, and service. In the computing cloud space, we’re seeing a trend of companies integrating their technology with devices like Alexa and Google Home that consumers speak to. We see brands, solutions providers and devices coming together and this will evolve faster. Unless communications solutions providers fully leverage new capabilities and services, they’re not going to be at the forefront very long. Cloud-based solutions expedite the progress of digital technology progress at an exponential pace. Think about supporting new products, customers, and locations. Which companies are consumers going to recommend to their friends, family, and co-workers? It will be the companies that have the best customer onboarding, support, and transparency. We believe that the recipe is for non-analog, true digital, cloud-based, multi-channel, auto-scaling support communication platforms. We expect Web RTC to continue to make inroads here. From a deployment standpoint, even large, complex contact centers can be deployed in three to four weeks via a robust cloud service platform, compared to four to six months for legacy technology-based solutions. Quality of service needs to become a priority. Most mobile apps today have poor customer support. It’s a very dated concept to present a default phone-dialer that pushes the customer outside of your mobile app. When a customer is in your app, you have access to a wealth of information about them. It is particularly crucial for connected devices (e.g., Nest, Noon, Fitbit) and on-demand services such as food and grocery delivery to provide in-app support. 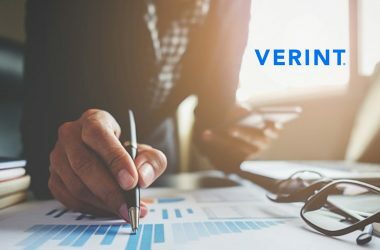 Support solutions need to leverage available customer data to streamline information exchange and resolve disappointing experiences where customers feel their time and effort are wasted providing answers to a company that should already have access to their information. The recipe for achieving delightful end-user support experiences are to minimize average support session durations and maximize agent effectiveness. In-depth awareness of end-user context is becoming an increasingly important ingredient. This requires the ability to evaluate key available customer data and detect specific context patterns in real time, at any given point in time. The way to optimize the end-user experience is to enable the contact center to assess a customer’s current context, for an expanding set of scenarios, and to leverage that intelligently in support. We see this evolving relatively quickly into a standard end-user expectation over the next few years. 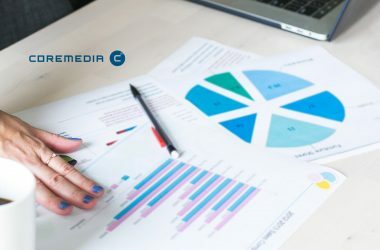 Marketing communications service providers have established deep capabilities and proven results in the last decade, in part by optimizing their communications strategies around finely honed sophisticated user profile segmentation. As a logical extension to context awareness, leveraging and maximizing the available data about each customer can offer real differentiation opportunities for the modern contact center. 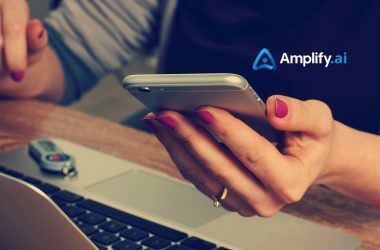 By drawing insights from basic profile metrics like lifetime customer value (LCV), evaluating core customer historical data, channel and more advanced preferences like voice or personality of the support entity, it’s possible to elevate support experiences, strengthen brand appreciation, increase LCV, and help drive positive organic social media reach and impact. Artificial Intelligence (AI) and Machine Learning (ML) are overhyped for many real-life applications, including the contact center industry. For example, instead of trying to identify specific patterns in images or data (an AI/ML sweet spot), it will be much more useful to increase the volume of satisfying self-service support sessions through intelligently applied automation to resolve common questions and provide guided user flows through defined business processes. 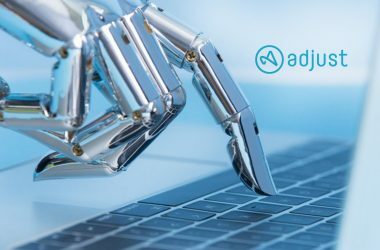 By leveraging human intelligence primarily for those support scenarios that can’t be effectively automated, call center operations will be further optimized. Thank you for contributing to the Predictions Series 2019, Anand!